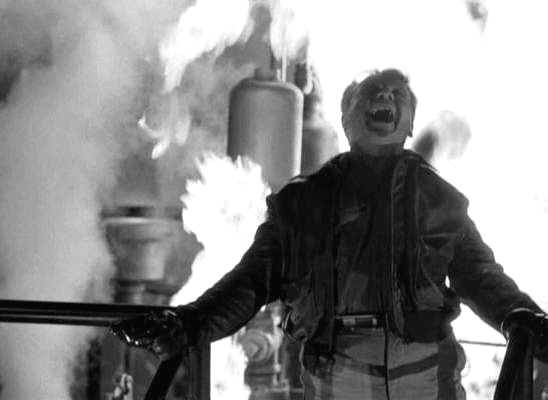 White Heat is a classic and should be watched by any film nut. This is directed by Raoul Walsh who did several noir films. We have James Cagney at his best as psychopath Cody Jarrett. Our top billed femme fatale is Virginia Mayo who uses her beauty gets men to do whatever she wants. Well let’s be honest, our protagonists true femme fatale isn’t his beautiful wife, it’s his mom, played by Margaret Wycherly. He will do anything for her, from robbing trains, to killing cohorts, to going to jail for a crime he didn’t commit. This story starts with a train robbery, and it does not go as planned. The heat is on and to get out of it Jarrett admits to a lesser crime that took place up north. If he did that crime, he couldn’t have done the much worse train robbery. Jarrett goes to jail, but the police are on to him. They send Hank Fallon in undercover as the hood by the name of Vic Pardo. This character is played by Edmond O’Brien, our good guy hero? Pardo quickly be-friends Jarrett and they soon plan an escape. In the mean time his wife is siding with his number two-man, Big Ed Somers, played by Steve Cochran. They conspire to kill Ma Jarrett and soon do. Will Jarrett and his pals escape prison? Will he have his revenge on those that took his mom away from him? Will the gang be able to overcome their differences and pull off another heist? Will they figure out Pardo is really Fallon? 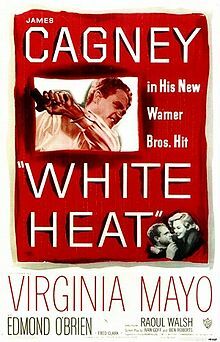 This movie is a must see for any film noir fan, Cagney fan or movie fan in general. “Made it, Ma! Top of the world!” maybe only #18 on the top 100 lines in movie history by the American Film Institute, but lets face it, this is the best line in film noir history if not all of film history. If you have not seen this yet, go do it right now! Those that have, what did you think of this film? Favorite Tidbit: The relationship between Jarrett and his mom are based on real life bank robbers, Ma Baker and her boys. Thanks for the review! I haven’t seen this or heard of it. It looks awesome. It is amazing, I haven’t seen it in around 20 years, but loved it on both viewings. It has one of the great endings. You will like it. 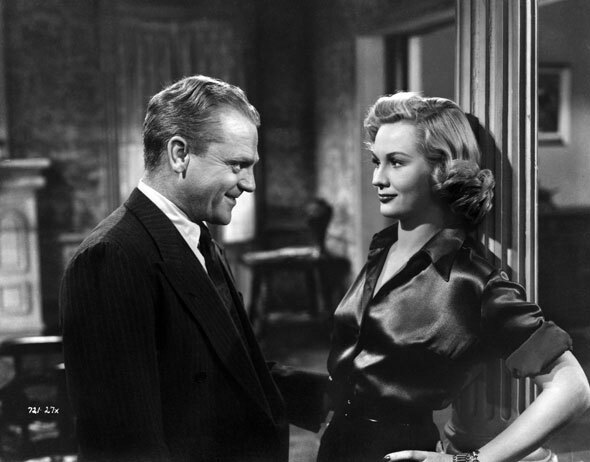 Ask me, go ahead ask me what’s my favorite James Cagney film. I dare you!